Want to know what bands are coming to Tampa? Click on the link below to search Pollstar for the latest in concert announcements and news. So, I’ve seen a large number of news postings about Avril Lavigne’s “profanity-laced rant” during her appearance at the Rays Summer Concert Series on Saturday night. According to numerous reports, Avril “unleashed a downpour of obscenities” or “let a few profanities fly.” Just to set the record straight, that’s not exactly what happened. Maybe I’ve covered too many metal shows where most of the evening is dominated by profanity, because I didn’t really think that it was that bad. I agree that it might have been better for Avril to find a few less-offensive words, but I’m sure that it was just stress and frustration. 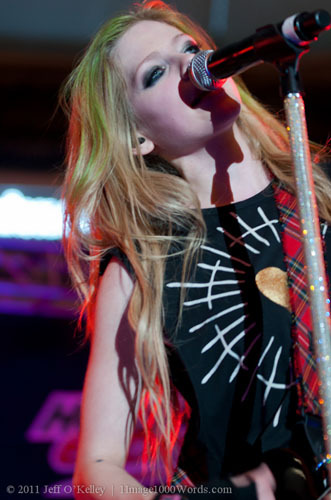 She may not have any U.S. dates currently on her tour schedule, but pop-punk rocker Avril Lavigne managed to slip into the states for a single show. 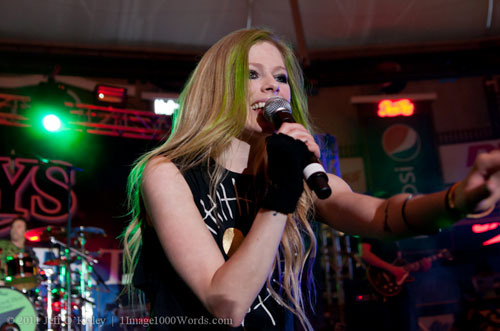 On Saturday night Lavigne performed as part of the Rays Summer Concert Schedule, a post-game concert series hosted by the Tampa Bay Rays. Continue reading for more images from the concert. Be sure to post your comments so we'll know how we're doing!